Work with our knowledgeable mechanic in Bullard for a car that runs as good as new . Read for yourself how exceptional our services are by checking out our testimonials. Your car isn’t going to fix itself. Contact our mechanic today for superior automotive services. Worried About the Noise Your Car Is Making? When your ride isn’t running as good as it did when you first left the car lot, turn to the automotive repair professionals at Town N Country Tire and Auto Center. Our knowledgeable mechanics use extensive industry expertise to tackle a variety of problems with your car. Whether you need transmission repair services or a lift kit installed, you’ll find the help you’ve been looking for at Town N Country Tire and Auto Center in Bullard. Call us today at 903-894-9189 to speak with our automotive repair technician today. Thanks to our years of experience, our mechanics are able to fix practically any issue with your car. We’ll look over the problems with your ride before walking you through our repair solution so you’re fully updated on the status of your car. 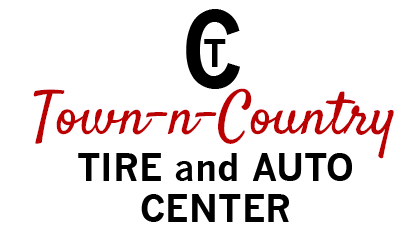 If you’ve been searching for a reliable mechanic in Bullard, TX, look no further than Town N Country Tire and Auto Center. Speak with our mechanic about the issues with your vehicle by calling 903-894-9189 today. The auto repair technicians at Town N Country Tire and Auto Center in Bullard understand how difficult finding a reputable and experienced mechanic can be. That’s why we work hard to offer skilled and reliable repair services. Give yourself peace of mind knowing you’ve picked a trustworthy auto repair technician by contacting Town N Country Tire and Auto Center at 903-894-9189 today.